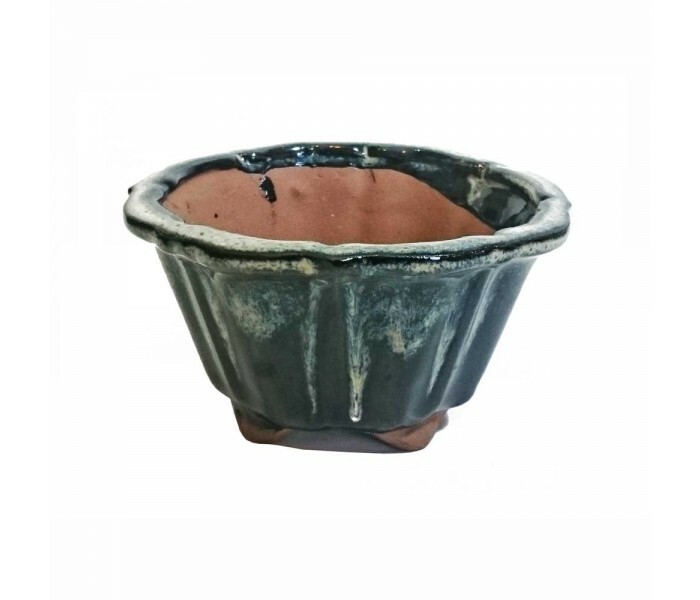 13cm round, 7cm tall, Glazed two tone round bonsai pot. Extra deep and suitable for semi-cascade use. 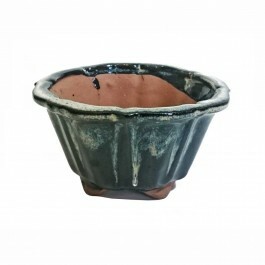 13cm round, 7cm tall, two tone glazed round bonsai pot with a single drainage hole. Extra deep and suitable for semi-cascade use. The bottom half is black with white glaze effect on the top half. Each pot is unique, but similar to the picture.